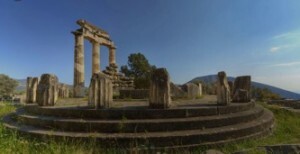 “Grecian Odyssey” students’ educational tour, Availabile in June 2019. “Grecian Odyssey” students’ educational tour traveling for 9 days in June 2019. Students from any school district are eligible travel. Parents and family members are eligible to travel as well. This entry was posted on Friday, February 2nd, 2018 at 12:04 am	and is filed under Drew Central News. You can follow any responses to this entry through the RSS 2.0 feed. You can leave a response, or trackback from your own site.